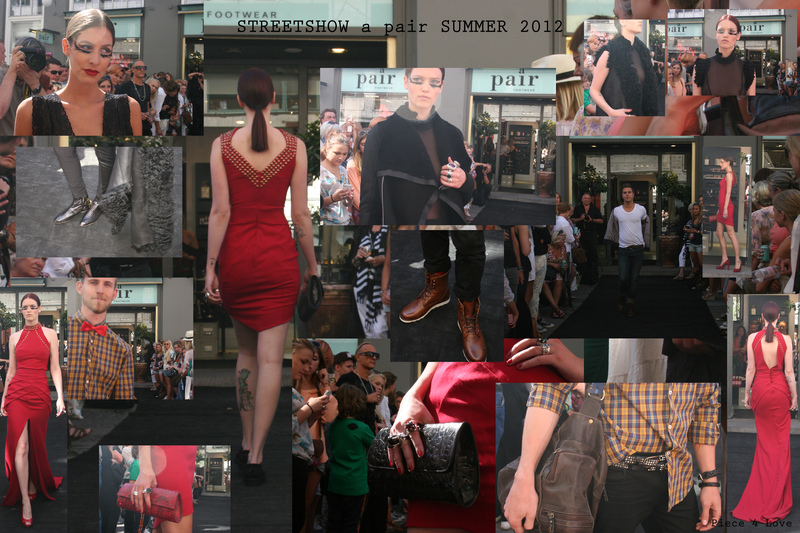 The exclusive accessory shop Apair presented their new arrived items with a streetshow in front of the shop at Ny Østergade. DJ Flip hosted the music which perfectly fitted the theme of the catwalk. were prominent colors as well as big rings and big bracelets were really highlighted on the models. Raw, cool and really Apair-like. Clutches in real croco and pyton were the finishing touch. Butterflies and cool bags was to be found among the items for men. As a lady I really has to catch up on looking more on the men models walking down the catwalk. I’ll promise to go get a closer look on the items from Apair one day in the near future.